Chapultepec Park is an old forest that is also full of many cultural sites, including museums, a zoo, amusement parks, assorted markets and the residence of Mexico’s president. 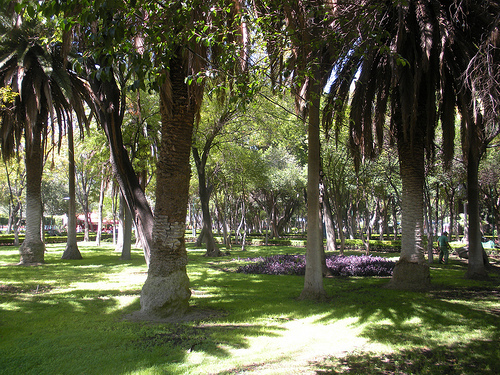 As Mexico City is very developed, populated and full of cars, exhaust and other such chaos, this park and its plants are important to preserve this city’s air quality. Though a tourist attraction, lots of locals of all ages frequent Chapultepec Park. 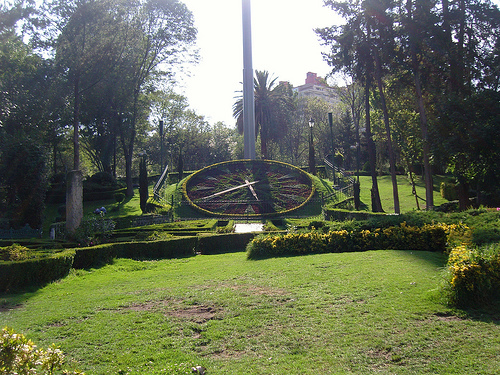 This is the biggest park in Mexico City, with an area of 7.3 square kilometers. The summit of the park has the Chapultepec Castle, which is now the National Museum of History. Parque Hundido, also known as Luis G Urbana Park, is a wonderfully manicured garden park that has historic pre-Hispanic sculptures, along with the many trees and flowers. Its most famous landmark is the flower clock (above). Alameda Central is a downtown park that is adjacent to the Palacio de Bellas Artes; it is the oldest public park in this city. There are green garden areas and trees, crossed with walking paths, along with fountains and statues. 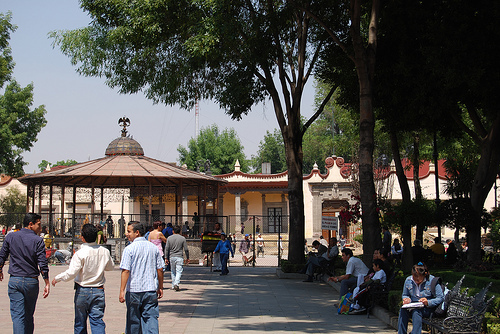 It was historically an Aztec marketplace, but today many civic events are held on its premises. 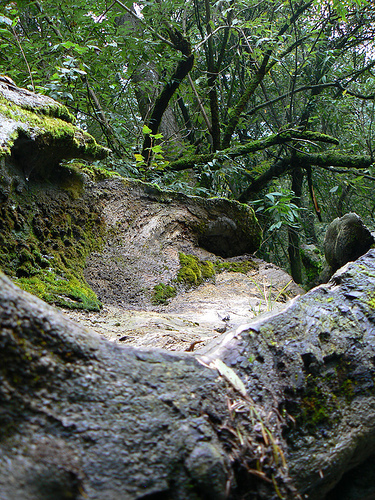 Los Dinamos is a hill situated above greater Mexico City, and offers space for people to be away from the crowds and hustle and bustle of the urban setting. 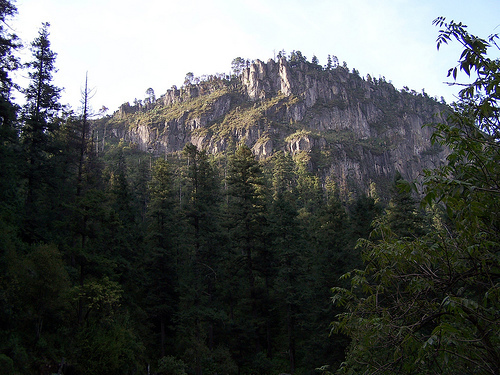 There are steep paths in this park that cut through pine forests, and the peak of this hike offers great views. There are also horseback riding and rock climbing opportunities. Desierto de los Leones, or “Desert of the Lions,” is neither a desert nor has any lions, but is nevertheless a wonderful park to visit. This place has paths to hike through, which lead people up to a monastery at the top. Many different colorful bird species inhabit this forest. 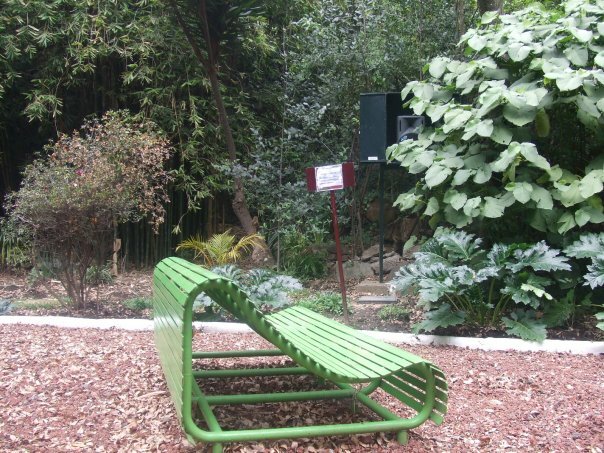 Jardin Centenario is located in the Coyoacan neighborhood of Mexico City. It is wonderfully manicured and full of vendors, and also surrounded by beautiful colonial buildings. how many parks are there?